Happy Friday all! This post is part 2 in my weekly "girl boss" series (view the first one HERE!) and this week I'm proud to feature one of my closest friends, Coelle from Coelle Hope. Fun fact: Coelle and I met when I photographed her first son's newborn photos and then later, she trained as my assistant before moving to Madison about 2 years ago. She is super creative, hilariously funny, and is amazing at interior design. After living in two different homes in the Madison area within the first year, she honed her decorating skills on her own interiors and found that people were drawn to her style and eye for functional yet beautiful family friendly design. Her experience as a mom, living with three busy boys, has also given her an edge in the kid friendly department. ;) She recently was featured as the cover story in Brava Magazine June edition, and just did a fun Instagram playroom tour for the innovative Nugget couch for kids (or fun loving adults I suppose!). Trust me, this girl is one to watch! Her website is coming soon, but until it's launch you can follow her on instagram HERE. Tell me about starting your business, what was your inspiration? Creating has always been a part of who I am and I have always found a way to incorporate it into my life. I was doing family photography at the time I decided to make the switch to interior design and styling. I enjoy photography but I am passionate about design! My family moved twice in one year and this taught me so much about making your space functional, sourcing home items, and setting up a family friendly home. We did a few projects to our current home after moving in one year ago and I started receiving compliments on the progress we made, and having friends ask for help with their own home projects. I realized that if given the chance I will always chose to look at home design/architecture/style magazines, Instagram feeds etc. And that is about when it hit me that is what I should be doing! Be brave, never be afraid to promote yourself! Dream big and don’t let anyone discourage your dreams. Be kind and collaborative with other creatives in your community. And know there will be ups and downs while working towards your goals, and riding out the low moments is part of the process. I’m early in the process but for me it was just taking the jump and telling everyone I was going for it. That opened the doors to a lot of support and my first client opportunities. So far most challenges have involved balancing business and family life. Such as mom guilt about leaving the kids to work on the business or spending the money on a babysitter. Honestly, I’m still figuring this out and probably always will be! One thing I have been noticing lately is that I can fill every moment the kids are gone or asleep with building my business if I’m not careful… but I need to remember to carve out time for myself and/or my husband as well! Just. the. beginning! (of something awesome!) Is that cheating, that’s more than three! ha! I had a really rewarding moment when my oldest son Julian (5 years old) told me that he wanted to be an artist AND a veterinarian when he grew up because “you are good at so many jobs Momma”. This conversation really drove home that my boys are seeing me pursuing my passion and taking it in. I want them to know they can do anything they set their minds to. I want them to know that pursuing either creative endeavors or a non-traditional career deserves just as much recognition. And I also want them to know that women are equally capable to achieve! Big picture though, it is very rewarding to know that I am in control of my own success. Each step of growth feels good because I know that is directly related to what I am putting into it. If this is your part time thing, what else do you do for a career? I also work on-call as a Women’s Health Nurse. I love doing this as well. I enjoy the team aspect of health care and the joy involved in helping others through big and difficult moments in their life. I have always needed more hours in the day for my interests! I see a steady stream of projects and fun clients! I see an assistant! 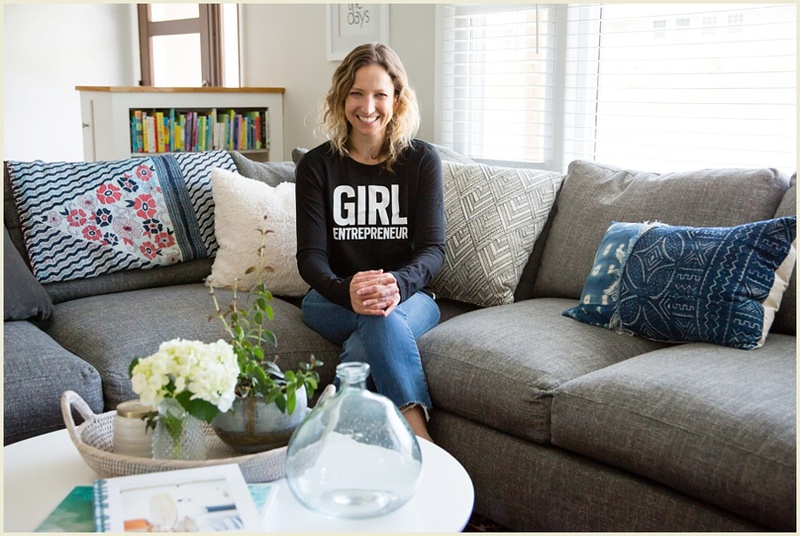 Do you know an awesome Girl Boss you want to see featured? Email me info@jenmadigan.com!